Mr Bailey comments: The existing door was not very good at all! It was falling apart and didn’t fill us with the confidence that we were secure in our own home. We’d put off investing in a new door for as long as we could. It was time for a change. 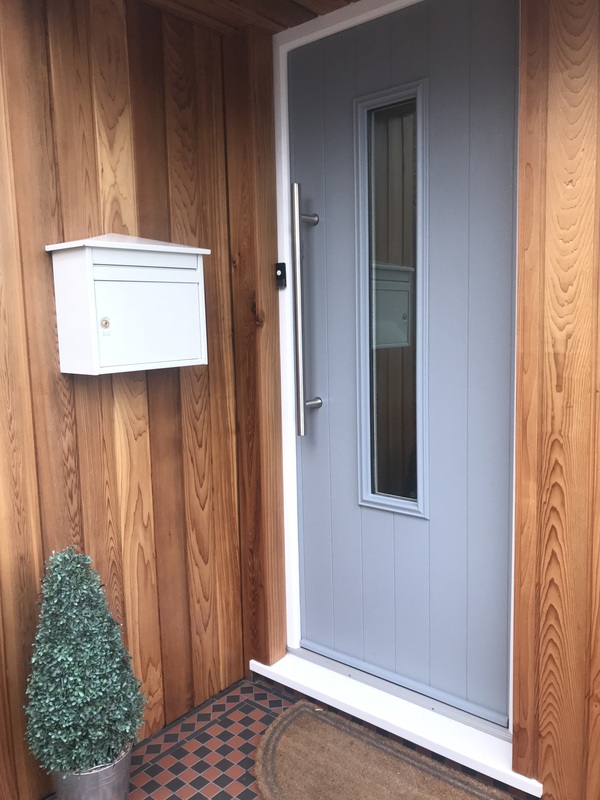 Mr & Mrs Bailey contacted local company Jewel Windows for help, and it was from their first conversation that they we’re introduced to Soldior’s range of timber core composite doors. 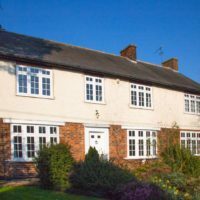 Mrs Bailey comments: We knew that we wanted our new door to be sturdy and secure as the old one felt very flimsy. As soon as we were informed that Solidor offer a solid timber core we knew that we were going to have one. We did have a bit of a dilemma when it came to choosing the colour though! There are so many options available from Solidor it took us ages to decide. The Baileys eventually decided on the Monza (from the Italia Collection) in French Grey with a crisp white outer frame and since their new door has been installed they’ve really noticed the difference it’s made. Mr Bailey continues: we knew that there we’re going to be benefits to us changing our front door, but in no way id we imagine that they would be would be so significant. We’ve no longer got a draughty hallway which is fantastic, the door feels so robust and very secure. 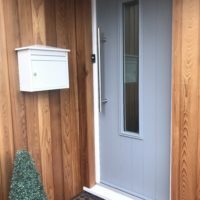 Security was a top priority for us, so we’re both really pleased with the peace of mind that installing a Solidor has given us. The Monza door style was perfect for us and our home because it lets in lots of natural light whist maintaining our privacy. And it looks fantastic too! We’re really glad that we contacted Jewel Windows as their customer service has been exceptional from start to finish, in fact I wish we’d contacted them sooner because we love our new Solidor.